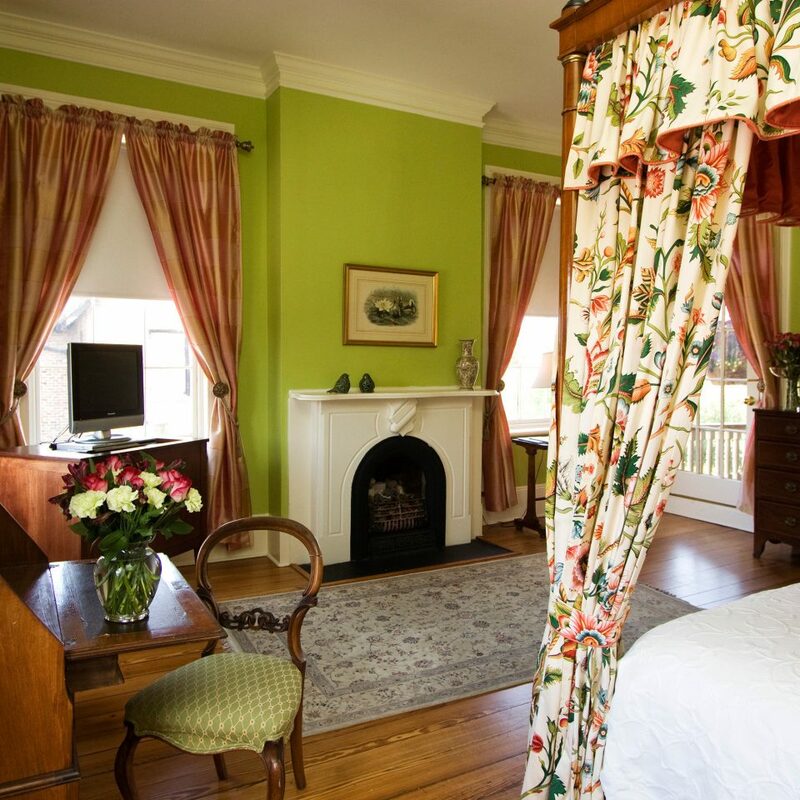 This elegant inn makes the most of its atmospheric setting, maintaining the look and feel of the historic 19th century mansions in which it’s housed. 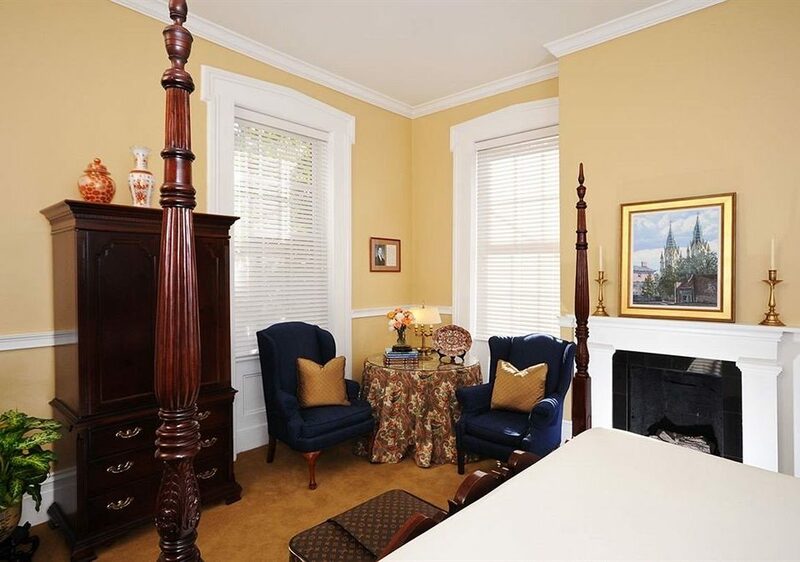 Suites feature Old World touches like cast iron beds, claw foot tubs and working fireplaces. 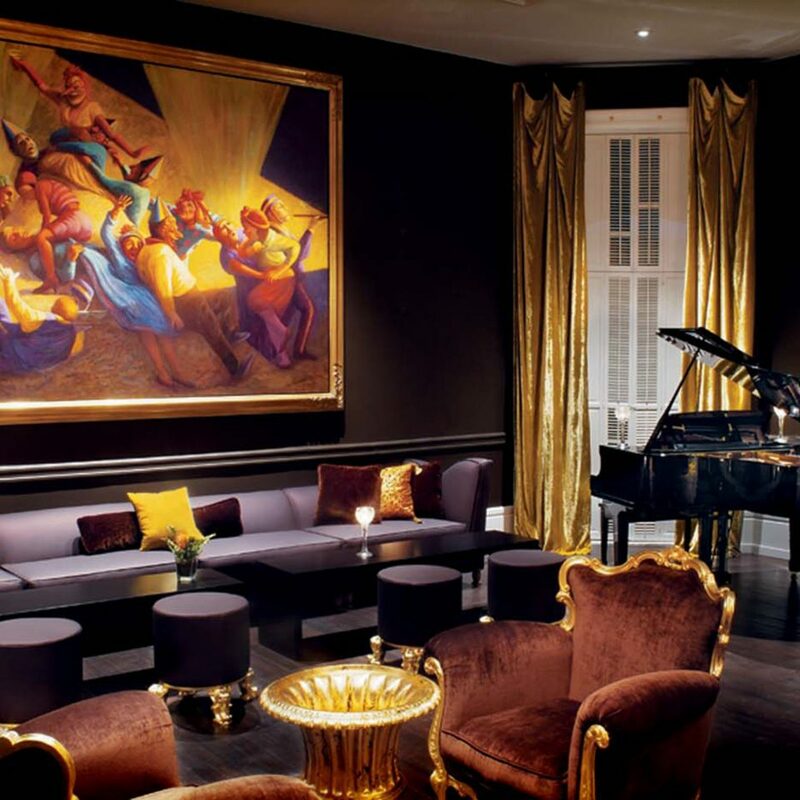 Daily rituals include a huge breakfast (showcasing Southern flavors like apple smoked bacon and grits) plus an evening wine tasting with appetizers and dessert served in the parlor. 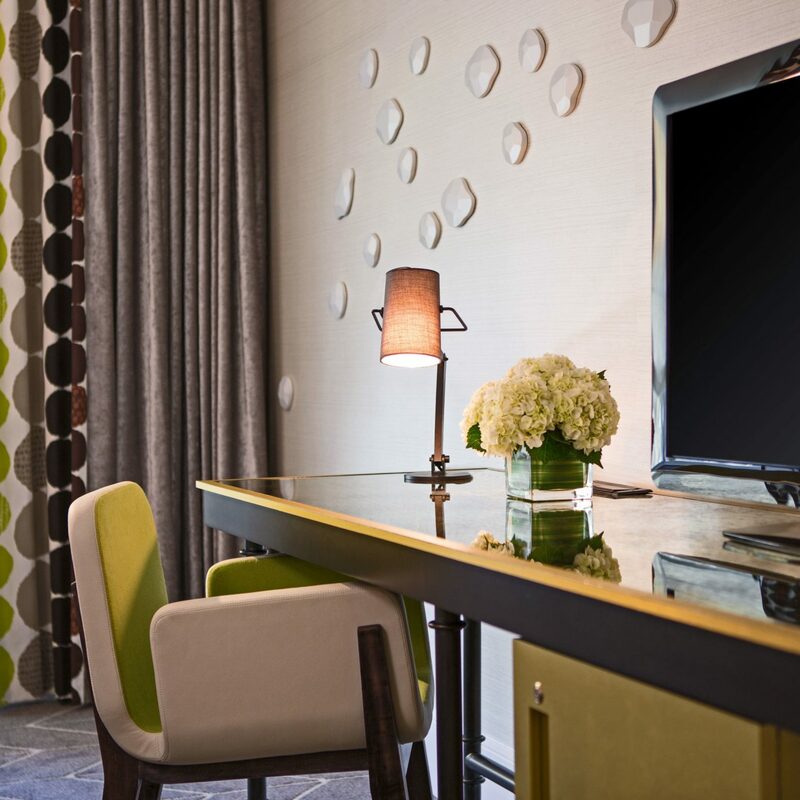 The vibe is romantic, pitched at starry-eyed couples: although given the cozy, intimate nature of the inn, be prepared to mingle with other guests. 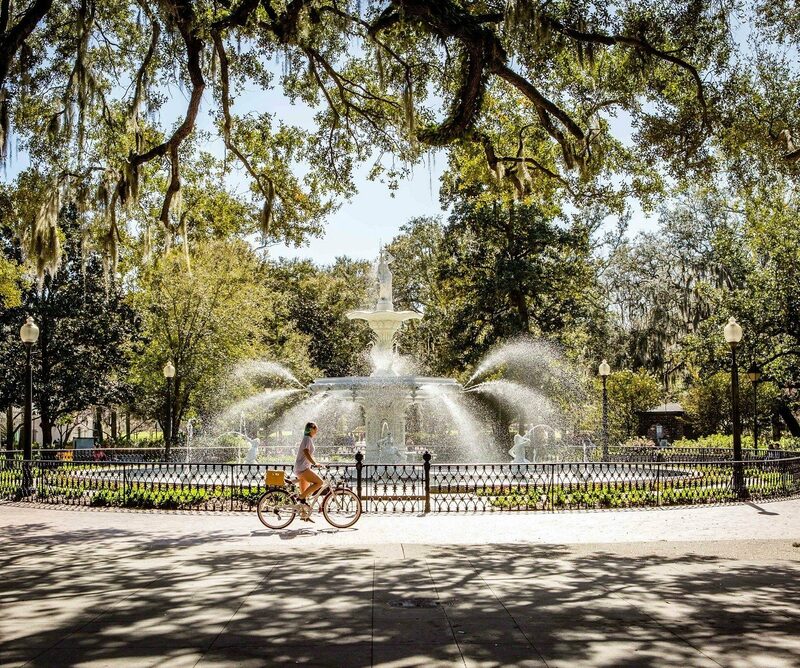 Savannah’s compact downtown and leafy, dappled squares make it the perfect walking destination. 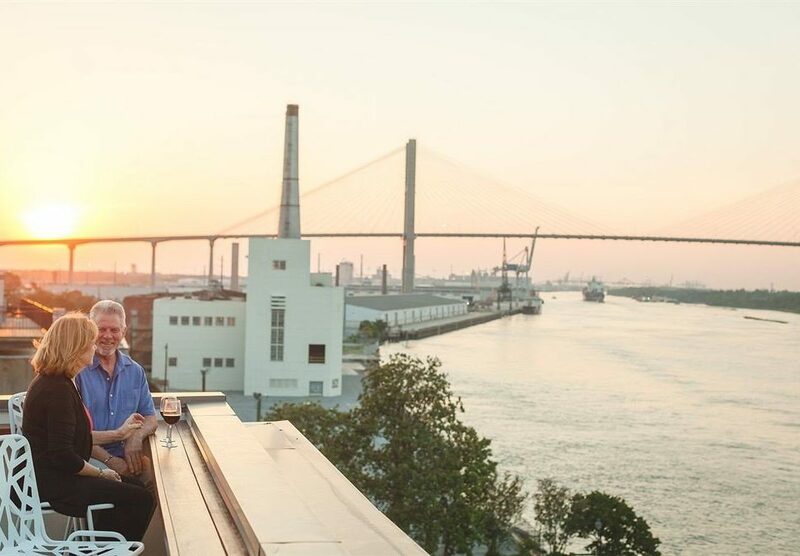 Navigate the streets solo or opt for a guided tour with a local expert from Savannah Walks who will bring the town’s civil war history and prodigious ghost legends to life. Get even more deliciously spooked at the famous Bonaventure Cemetery, with its Southern Gothic atmosphere and the statue featured on the cover of the book Midnight in the Garden of Good and Evil. Afterwards, get your fill of Southern staples like shrimp and grits and fried green tomatoes at Alligator Soul–if you’re feeling brave, there’s even ‘gator on the menu. Southern Hospitality to new heights! 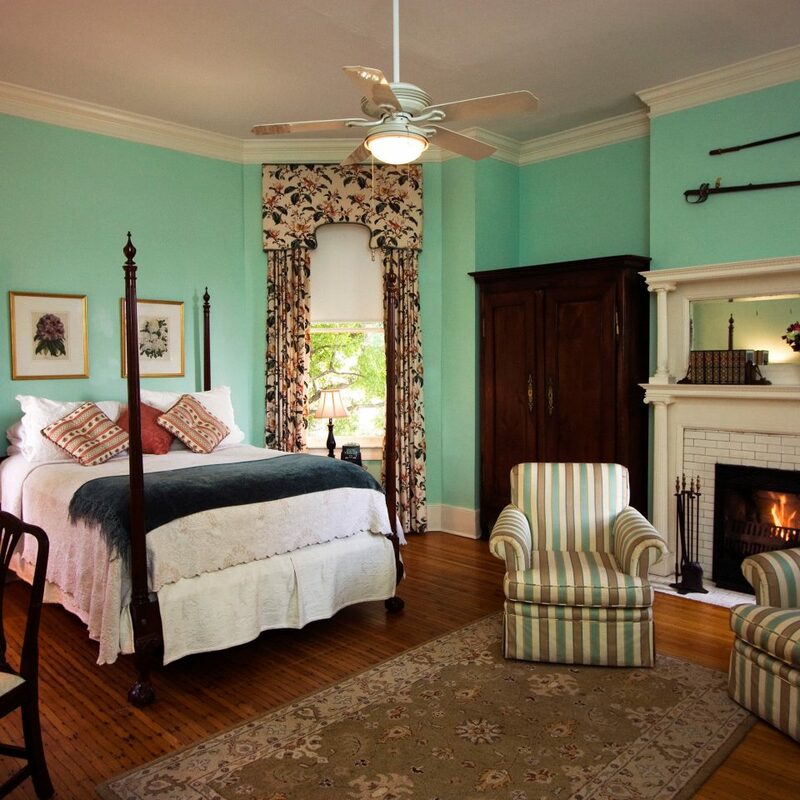 Our stay at the Gastonian Inn could not have been more lovely or more relaxed. The staff at the Gastonian could not have been friendlier and more helpful. 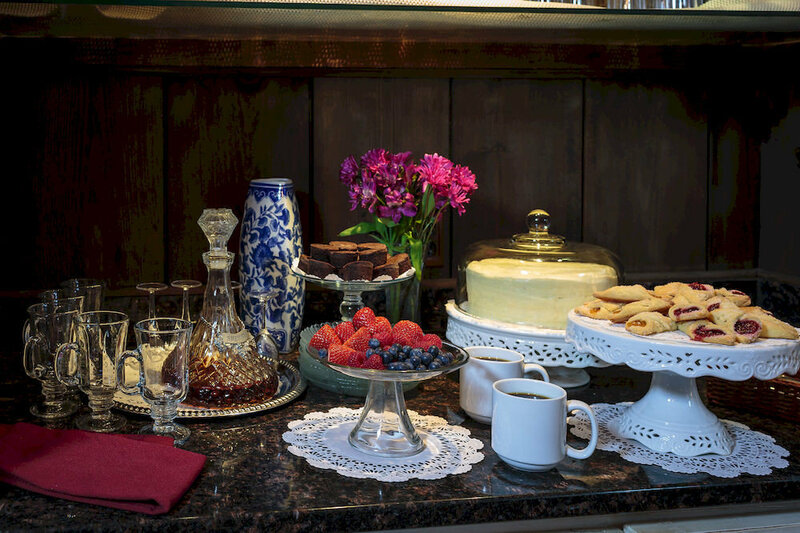 From the evening staff who would make sure that we had our tea and dessert waiting to the staff who prepared our breakfast and remembered how we liked our eggs prepared, there was always a feeling of personal investment from each and every employee. 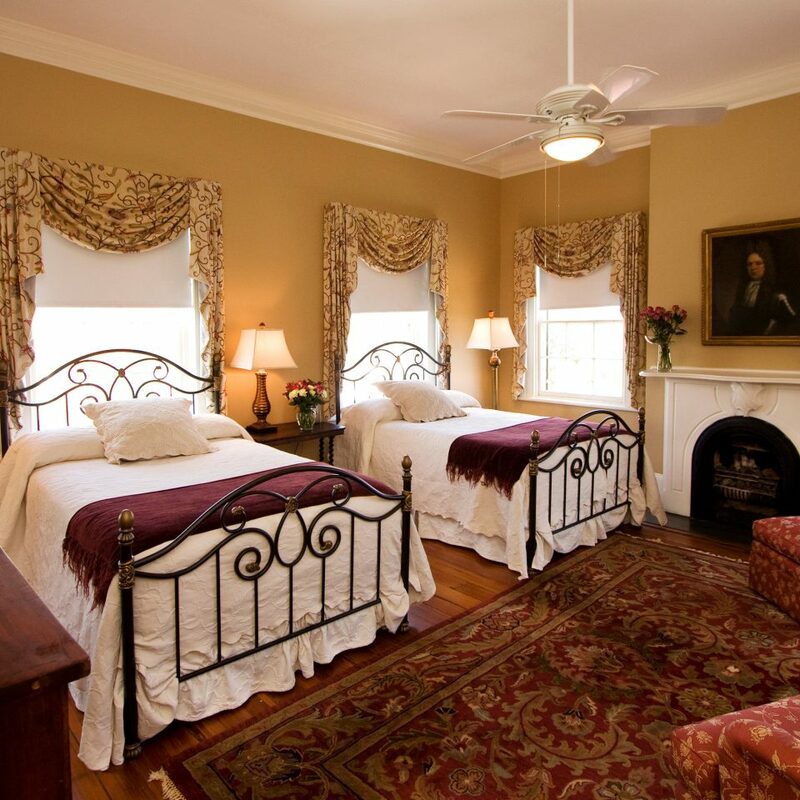 The guest rooms are quaint and clean, the Inn is perfectly situated near the park with easy access to historic Savannah. 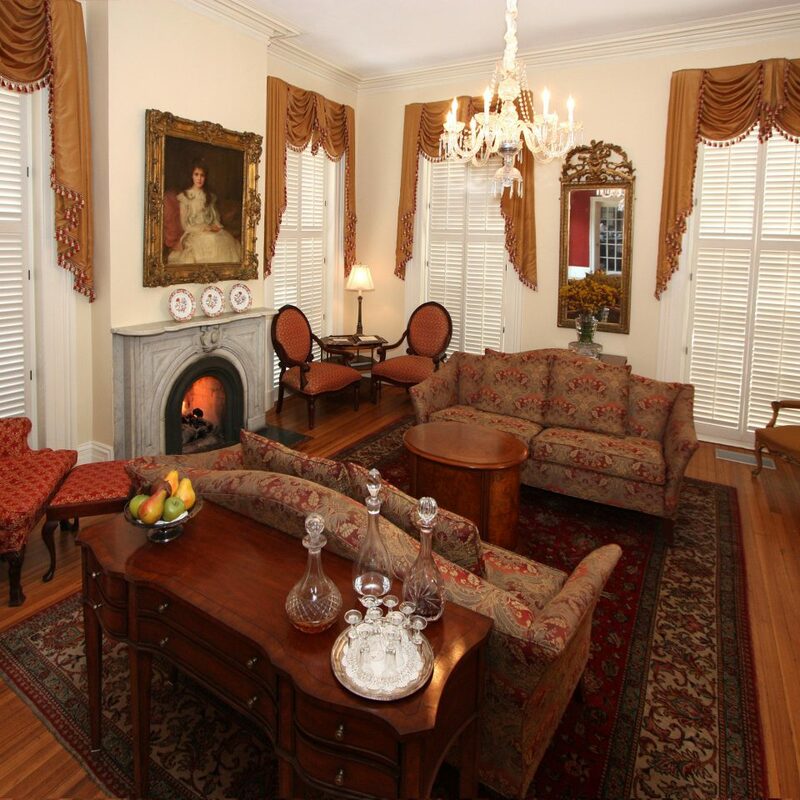 I am sure that our impression of Savannah was very positively impacted by our experience at the Gastonian. 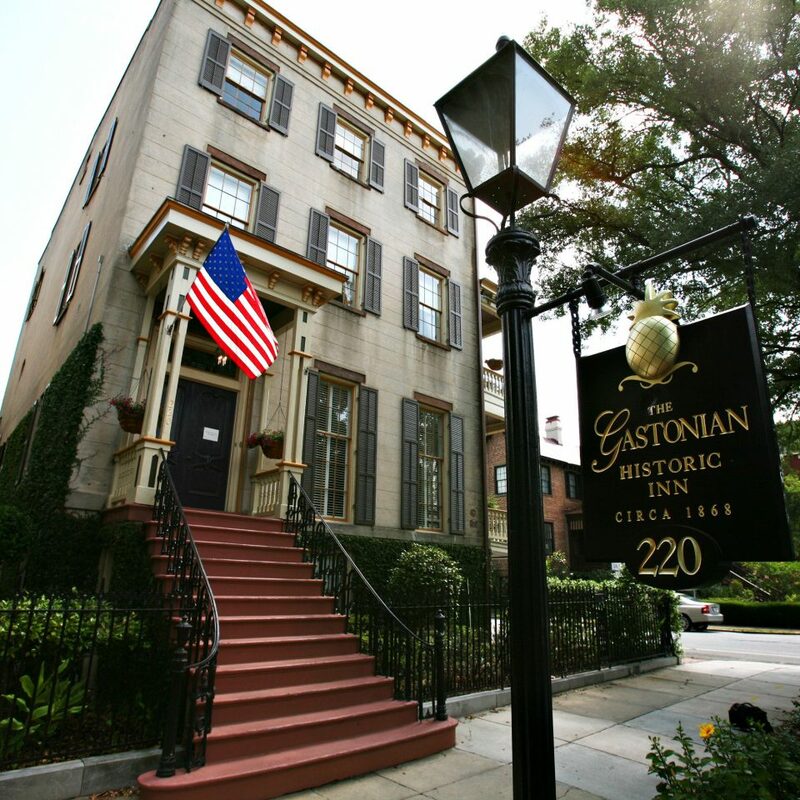 We will return to the Gastonian when we return to visit Savannah again. From start to finish, The Gastonian was classy, unique, and beautiful. We stayed in the Garden room, which had its own entrance and a small fountain and koi pond in our courtyard. 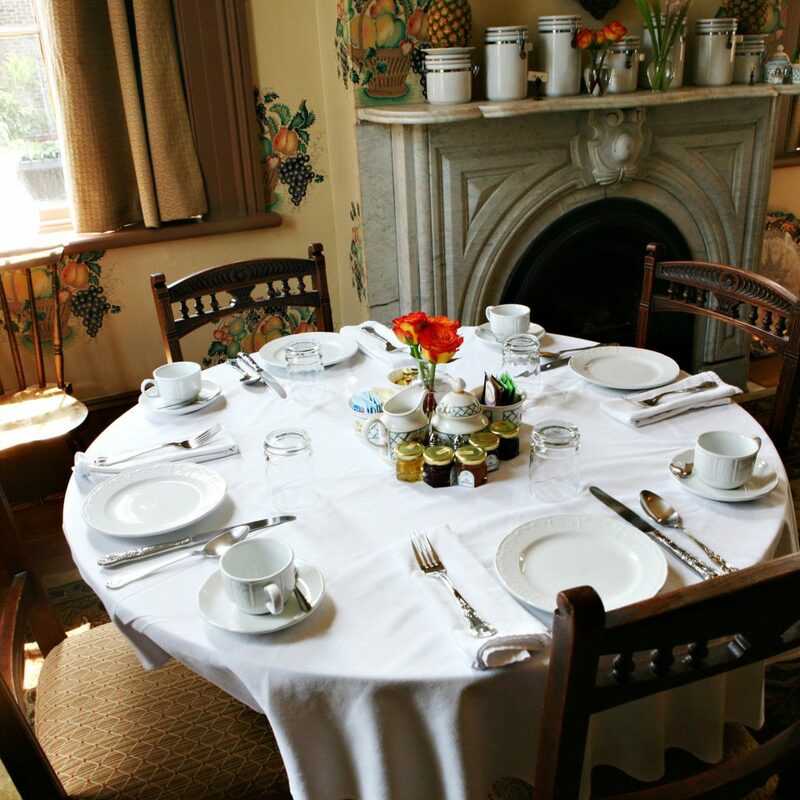 They have a daily breakfast served by an outstanding kitchen and waitstaff. They are all so courteous and attentive. You can choose from an omelet daily, as well as changing dishes (smoked salmon and poached eggs, eggs Benedict, French toast etc). There is also an evening hor d'oeuvres and wine. My favorite was the curry chicken salad and deviled eggs. They also have an evening desert and port wine. 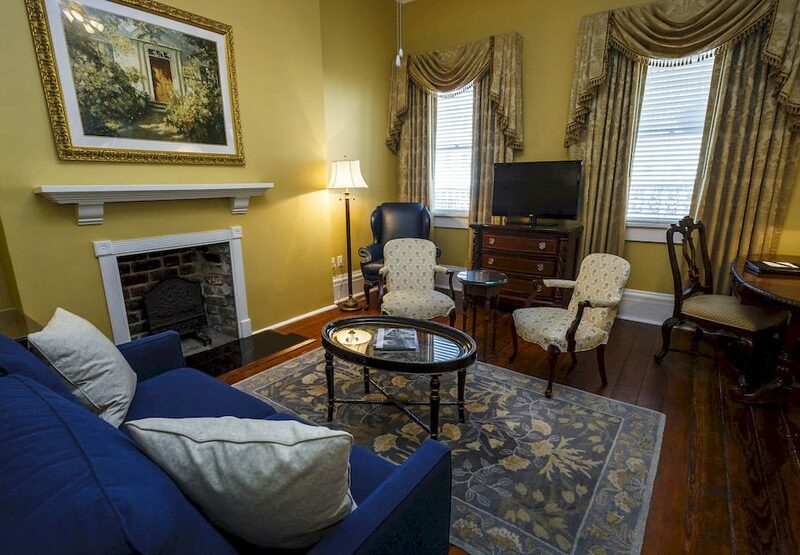 The inn is within walking distance of many attractions in historic and downtown Savannah, ranging from a half mile to a mile or so. 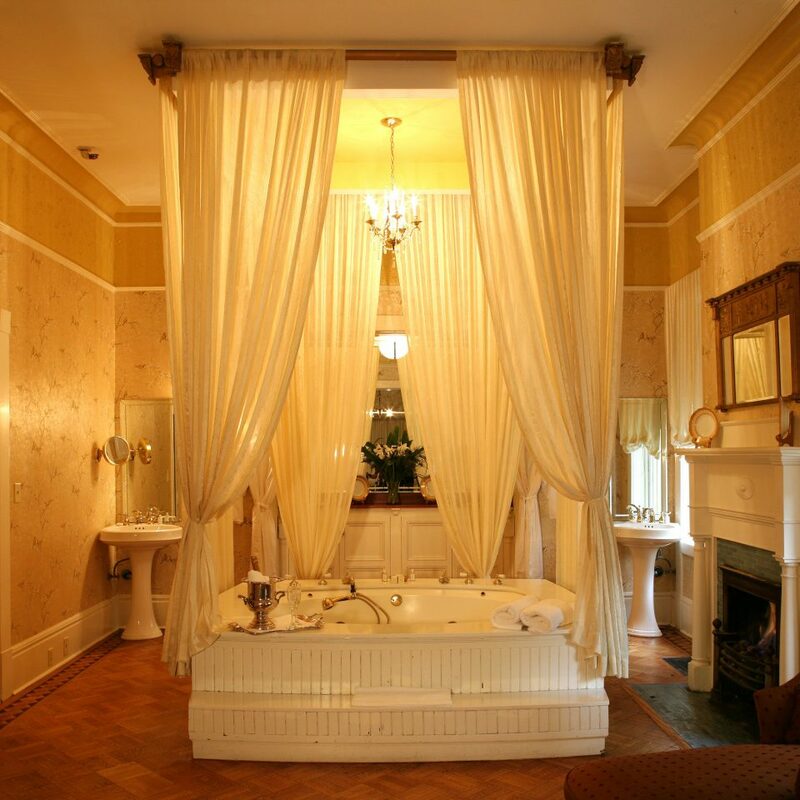 My only caveats are: I loved the tub and bathroom, but the tub is high and difficult to get into and out of, so elderly or disabled people should avoid this room. The other thing, totally out of the staff’s control, is that our bed was EXTREMELY firm. I don’t know if all rooms/suites have the same mattress. Regardless, I loved this place. The staff is really excellent and deserves all the positive recognition in the world. Everything about our stay The Gastonian was perfect. We were made to feel very welcome from the moment we arrived. 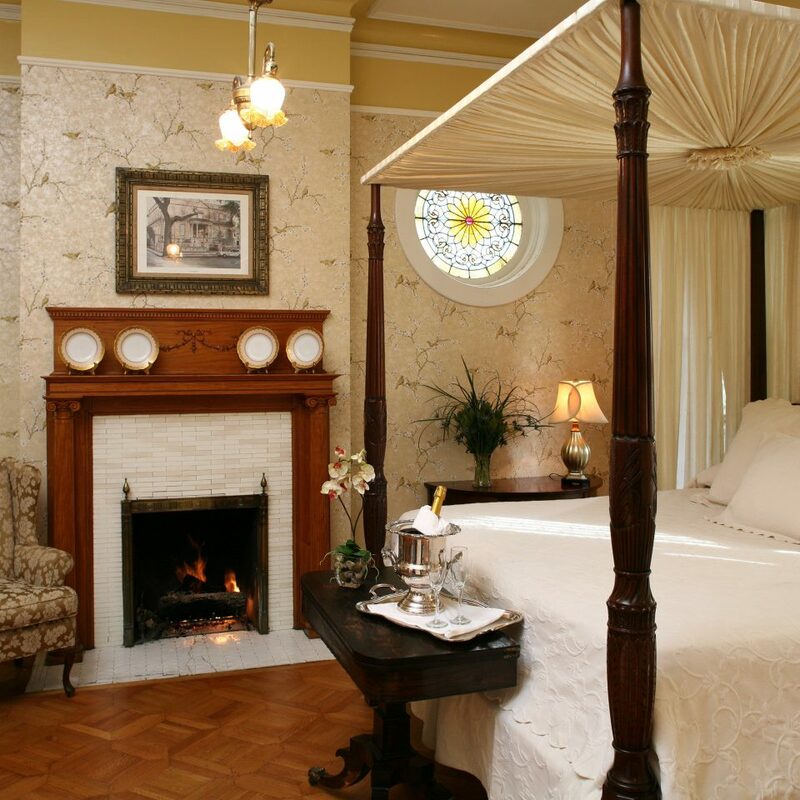 The inn is stunningly beautiful and classy but never stuffy. My wife and I were given a free upgrade to the honeymoon suite and we were blown away, it was palatial. 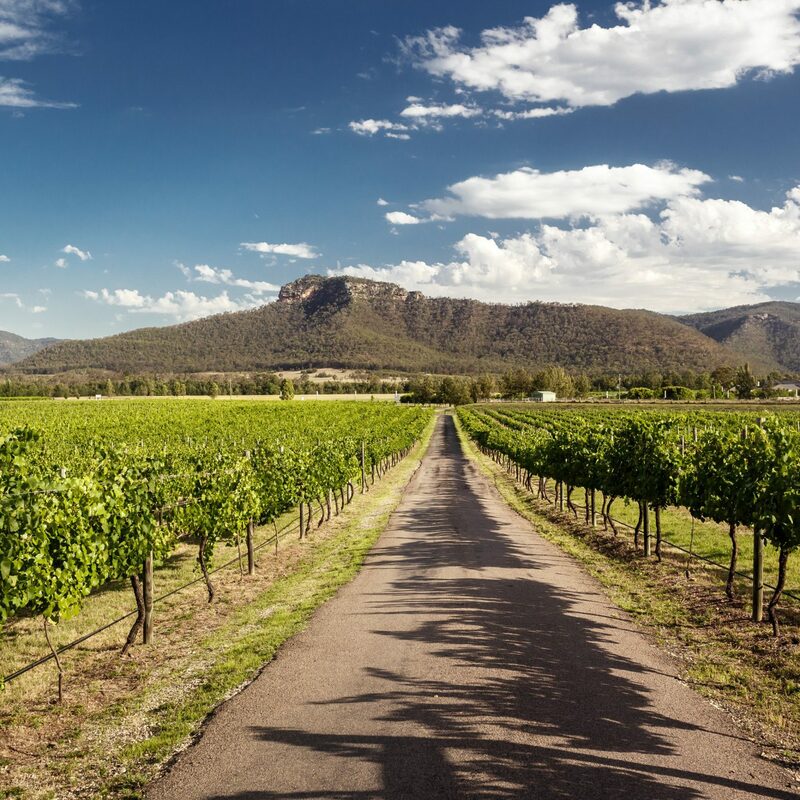 All the staff were extremely friendly, helpful and professional. Special shoutout to Alexis who was just fantastic! 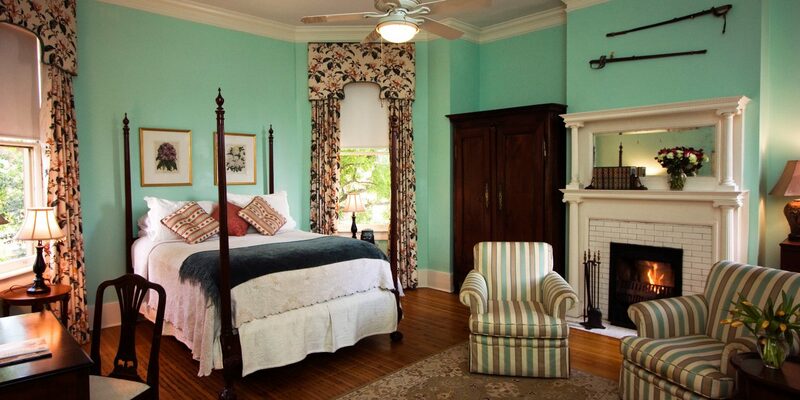 The Gastonian is a beautiful, quaint, southern B&B that I would highly recommend. The food and staff are also excellent. Everyone was so helpful and friendly. Alexa and James were especially great. 10/10! A beautiful inn with the BEST staff! My mother and I recently stayed at The Gastonian and had the best time. We were late for breakfast one morning and all the tables were full, so we ate in the kitchen at a table while the staff was preparing breakfast. They were so fun and entertaining. The food was delicious - it was such a treat to have breakfast, happy hour, and nightly dessert. Everyone at The Gastonian went out of their way to make us feel welcome and to assist us with anything that we needed. On top of that, the inn was beautiful. Our room was gorgeous - I wish we could have stayed longer! We will definitely be back!